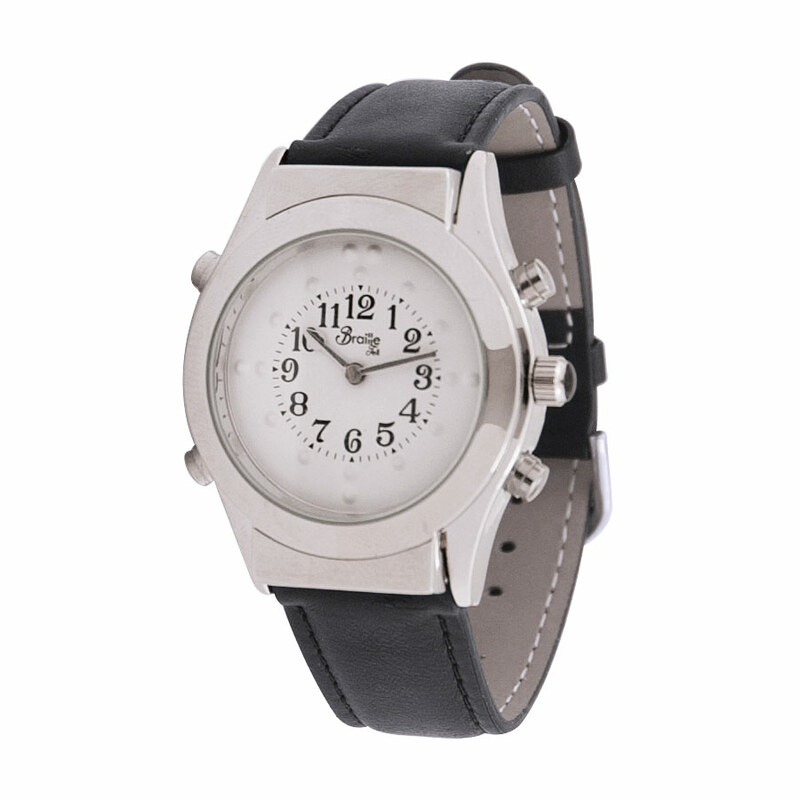 "Know Time by Sound & Touch + Swiss Quartz Movement"
Specifically designed for the blind and visually impaired. Remove the difficulty of telling the time on a traditional analog or digital watch with the option to hear the time for hourly chime and announcement. Now you can conveniently hear the current time with the ease of pressing a button, or feeling tactile markings!